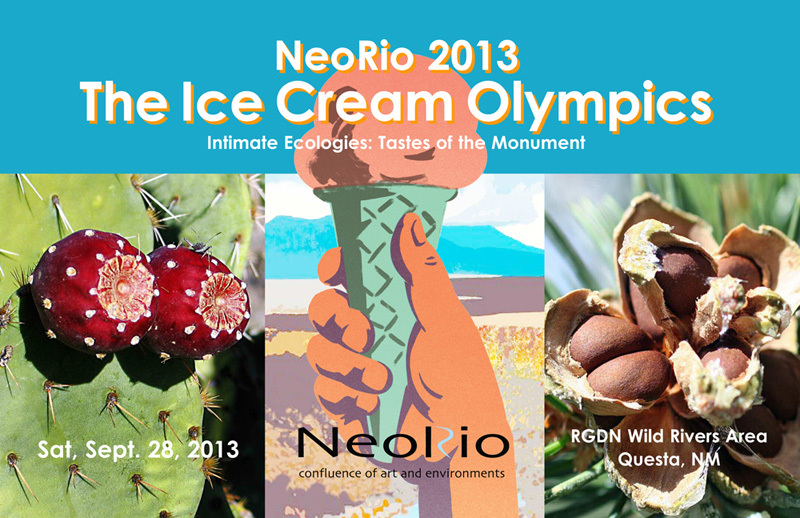 Join in the fifth annual NeoRio with this year’s LEAP residency and celebratory event, ‘The Ice Cream Olympics’ on Saturday, September 28th, 2013. This year’s theme, “Intimate Ecologies – Tastes of the Monument” features a series of events and workshops leading up to the final NeoRio event on September 28th, Our dynamic visiting artist from Ireland, Anita Mckeown will present ‘The Ice Cream Olympics’, part of the on-going TASTY! series in collaboration with Good ™ and the people of Taos County. On Saturday Sept. 28th, Anita will present her work and the residency that has created the Ice Cream Olympics in an artist talk at the Wild Rivers visitor Center at 2 pm followed by The Ice Cream Olympics participatory event. At 6 pm the festivities move to Montoso Campground for the NeoRio evening celebrations on the rim of the gorge, featuring delicious food, music, poetry and a campfire. Hosted by the BLM Taos Field Office and OCHO Art Space in Questa, NeoRio is organized by LEAP (Land, Experience and Art of Place, a program of Localogy). NeoRio 2013 is supported by the BLM Taos Field Office, Questa Economic Development Board, Questa Public Library and other organizations, individuals and local businesses. The Ice Cream Olympics residency, which officially began July 1 has provided the platfor for the September 28th Olympics through a series of participatory workshops and activities, an exhibition and open lab all culminating in the celebratory community “Ice Cream Olympics,” playfully exploring local food culture and the ecology of the new National Monument through making ice cream. Built on extensive local research, DIY ice cream making methods and collaboration with local groups, local artists and experts, these workshops and events will be the platform for participants and “Olympic teams” to develop their own ice cream flavors for “The Ice Cream Olympics” at Wild Rivers on September 28th. With a bit of shake, rattle, and roll, some dribbling and maybe an obstacle course or two, Anita hopes that some new summer flavors from the Monument will be created. Anita McKeown, the first Rio Grande del Norte National Monument artist-in-residence, works across a range of media forms, including digital technology and performance to create context-responsive, ecologically sensitive interventions that often develop over a number of years. For the NeoRio 2013 residency, “Intimate Ecologies: Tastes of the Monument,” she will be drawing on her 3-year research-based relationship with the Taos County area. Anita, who is from Ireland, first came to Taos in 2010 for a research residency related to her PhD, which challenges the “monumental trend” in the public art sector. Through a situated practice that is context-responsive and grounded in the ecology of the location, her research considers how such interventions contribute to intimacy; a detailed process that shares the existing knowledge in a location and produces new knowledge through the remixing and re-imagining of that knowledge base. From this perspective “The Ice Cream Olympics” event and the “Intimate Ecologies: Tastes of the Monument” residency, is an open source public art project that explores some of the key concerns Anita has been addressing within her PhD. The evolution of “The Ice Cream Olympics” is in itself an example of open source culture. Inspired by the Surrealist game, Exquisite Corpse, Robin Salant’s 2009 project, “Exquisite Ice” encouraged intercultural dialogue through producing gelato using flavors blended from various cultures. Anita and Robin took an Ice Cream ball (a canister for ice cream ingredients surrounded by ice and rock salt within a plastic ball) to the Taos Archaeological Society potluck in 2010, and made Green Chile and Piñon ice cream, to rave reviews. Anita then evolved the idea to become “The Ice Cream Olympics,” a concept on which she and Robin will continue to collaborate through the NeoRio residency. New Mexico’s unique food culture is a fusion of Pueblo Native American, Spanish, Mexican, cowboy chuckwagon, ranchers and eco-hippie transplants. This history, the host of untapped edibles available in the wild and the abundance of local produce motivated the project. 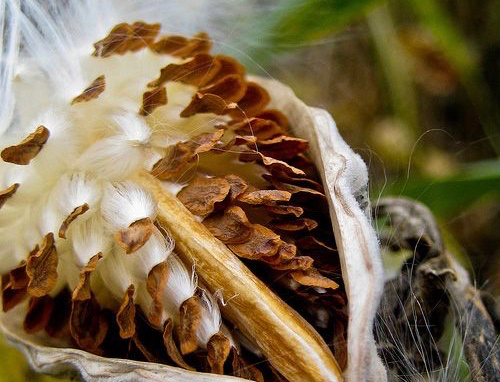 It is estimated that New Mexico produces more than fifty edible crops, most of which are exported, yet New Mexico has just been ranked 50th in food security with the highest national statistics of children who are food insecure. Recognizing that food sovereignty and security are complex issues, in this residency, TASTY! seeks broad participation to provoke deep discussions, all with a light touch. Through the development of local ice cream flavors and playful participatory events, the project offers an accessible, fun way to engage with place and facilitate the sharing of knowledge held within local communities.